lurks a former children's librarian. 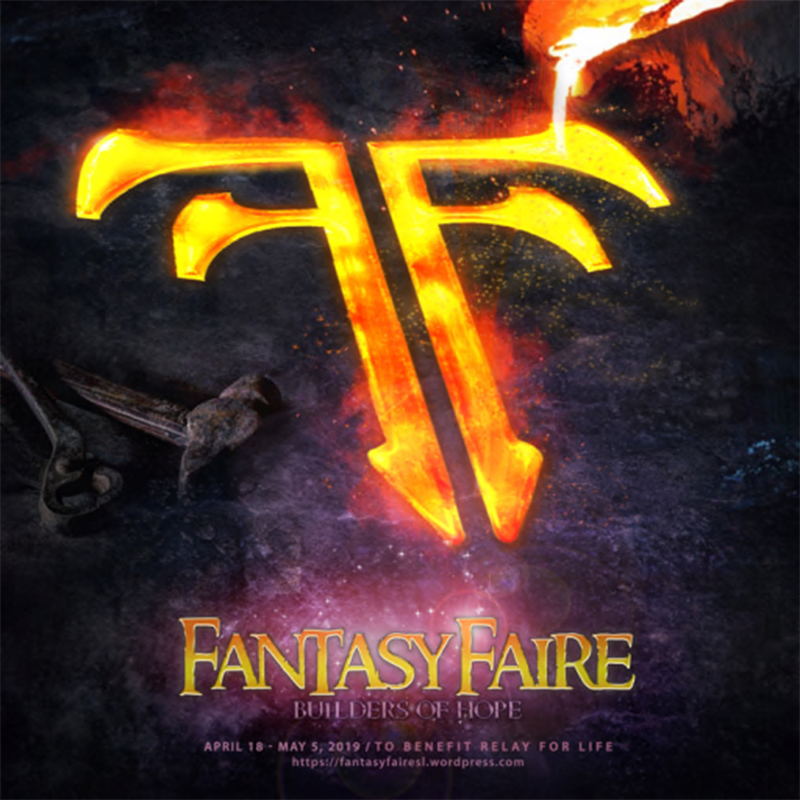 Fantasy Faire is offering some excellent story sessions. 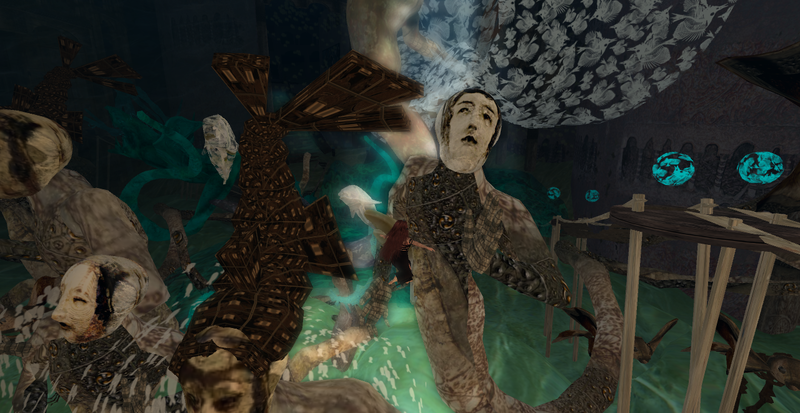 Tattoos: Fallen Gods, "Ammonite" - one of the end game prizes in the Fantasy Faire Hunt. 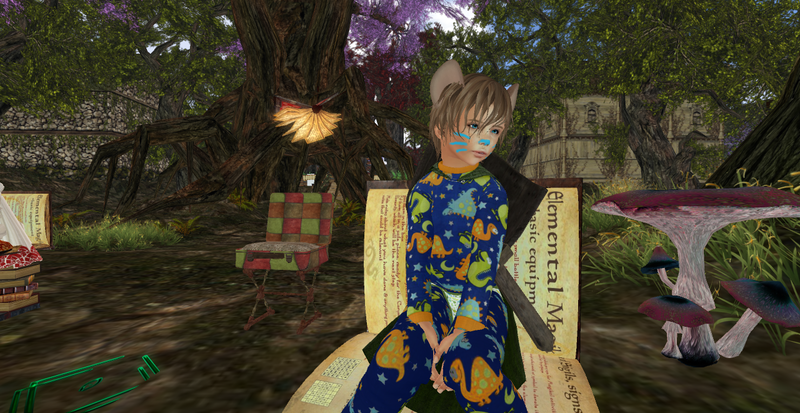 Fantasy Faire: I'm on the Hunt and back home I find a treasure. Fantasy Faire continues and I started the hunt. I waited till Sunday night, partly because I was so busy looking at the shops, I knew I'd get distracted by all the wonderful goodies anyway. 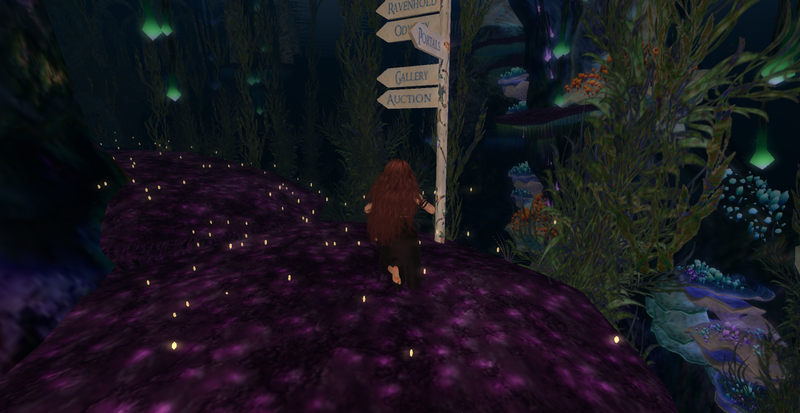 Here I am starting out from the Fantasy Faire Junction sim in search of the Bard Queen, who will tell me what to look for in the official hunt. The hunt uses a hud which is available at all the landing zones throughout the Faire. Purchase of the hunt hud is a donation to Relay for Life, so it's for a good cause and the goodies from the hunt are always amazing! There are some sections of the hunt which must be done in order. 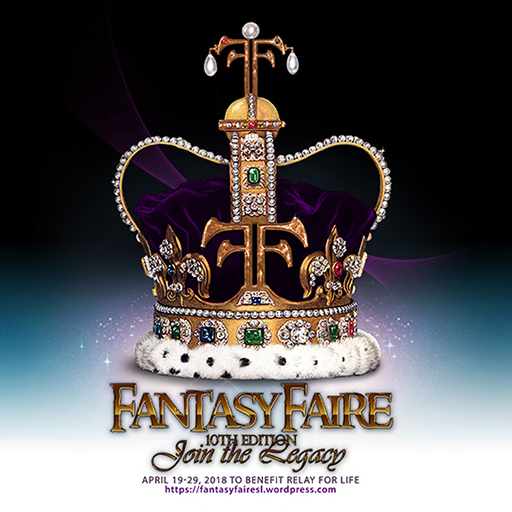 Check the Fantasy Faire website for more info. In the meantime, my good friend, Gog, decided I needed a rez day present and bought me a GORGEOUS River Spirit avi from Aii on MP. It came with shape, two skins, eyes, horns, tail and digi legs. 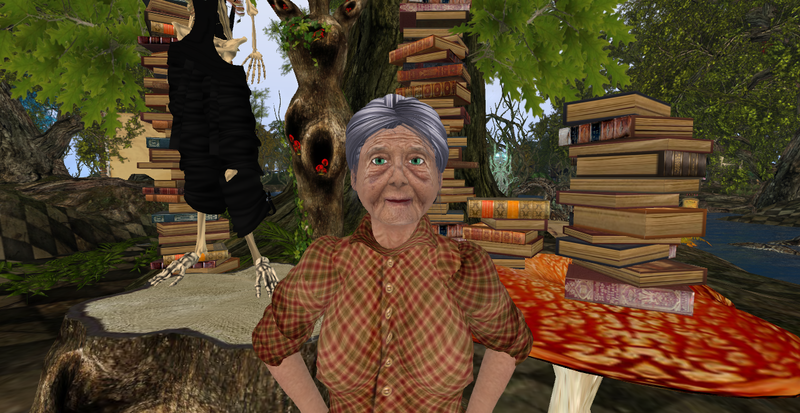 I love Second Life and have a lot of fun attending various events, but the one I love the most is Fantasy Faire. 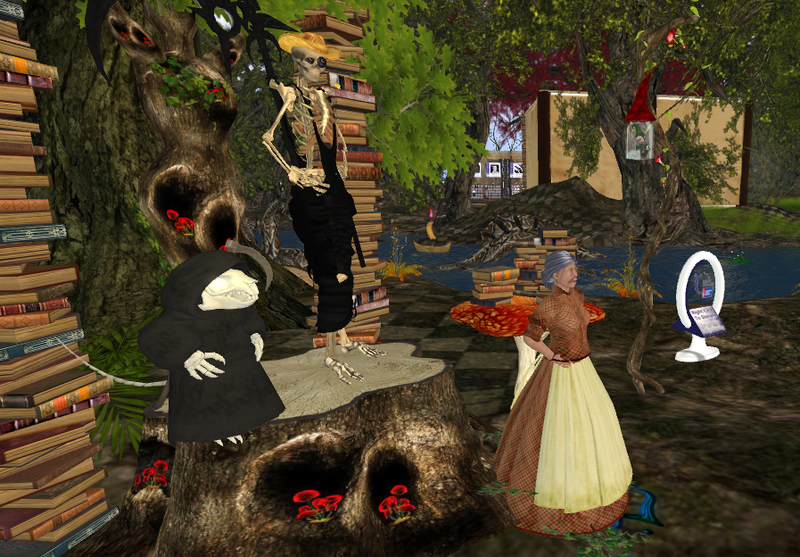 Held every spring, the best of the best designers of clothing, accessories, avatars and fantasy environments get together in support of Relay for Life and the American Cancer Society and really pull out all the stops. There are live performers, music, a wonderful hunt and role play activities galore. 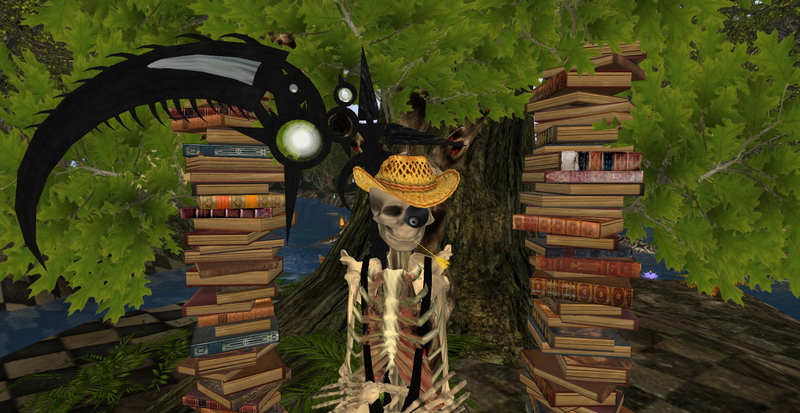 Here I am in the Plastik shop in the Sylvan of Spells section at Fantasy Faire. 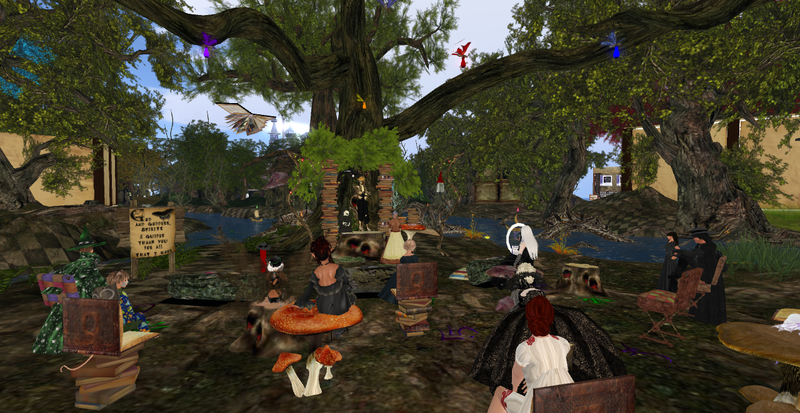 Plastik provided four complete low lag avatars free of charge to everyone attending the Faire. There are two males and two females. The ones in the Plastik shop are the full version and probably come with lots of extras (Plastik is great for that!) The basic special edition sets are free at the FF Junction! I'm wearing the skin from one and the hair and outfit from the other in this picture. The scarification on the skin is amazing! Flowers, jewelry and ears are my own.